Below you will find BCECE 2018 Cutoff marks. Along with the result, the official authority i.e. BCECE board will disclose the cutoff marks for the students. Basically, this is the minimum qualifying marks which are essential for the students to score in the entrance exam so as to clear the same. It may be possible that different cutoff marks will be released for the different categories and the students need to check the cutoff related to their category. Also, as the exam will be held in two stages, therefore, different cutoff shall be released for both stages. 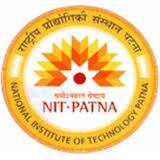 • BCECE or popularly known as the Bihar CET is the common entrance test for the students. • It is held in two stages. The first stage will be held in April 2018 and the second one will be organized in May 201. • This exam is organized with the objective to provide admissions to the deserving students in the colleges of the state. • This exam is hosted by BCECE board every year and its popularity is increasing year by year. • The cutoff is the benchmark for the students which the students will have to cross so as to be considered as qualified. • This is issued by the exam conducting body after the careful analysis of the important parameters. • As different cutoff shall be published for the both the stages, therefore, the students need to score more than the cutoff marks so as to join the next stage of admission. • The main objective to release the BCECE 2018 Cutoff is to reduce the number of students for the next round of admission. • Those students who will secure marks higher than the cutoff are considered for the ranking purpose and get the place in the merit list. • It is not obligatory that all those students who will score more than the cutoff are included in the merit list. It is up to the selection criteria of the official authority that whether the student gets the place in the rank list or not. • The cutoff is treated as the selection criteria and hence, it is not randomly published by the exam authority. • Several factors are present which will be taken into account while determining the BCECE Cutoff 2018. • Not all, but some of the factors are listed here for the sake of student’s knowledge.